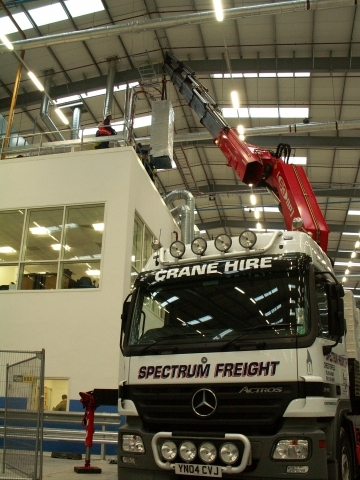 Spectrum Freight Ltd operate a varied fleet of drawbar trailers, all designed to be pulled by 6 wheel rigid hiab crane truck. These offer an extra 20ft x 8ft of bed space and an extra 10 tons of payload to the rigid vehicle. They are ideal where a rigid truck is essential but a larger volumeor weight of goods has tobe moved. 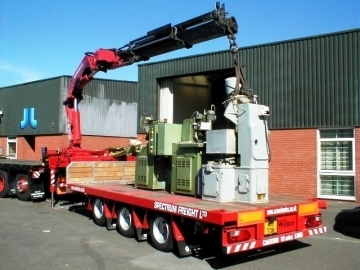 If needed the trailer can be dropped outside a tightoffloading area and loads then transhipped from trailer to rigid crane truck to allow offloading of goods in a tight, rigid only, site area.